Receiving information about your K-12 school district has just gotten a lot easier with SchoolPointe’s Mobile App. 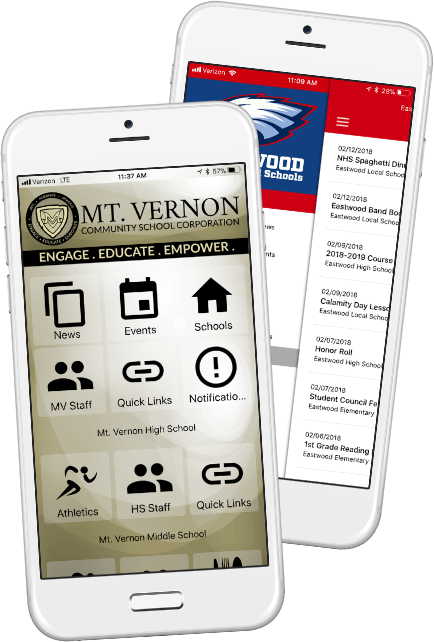 You can now stay up-to-date with the most important news affecting your school district with just a swipe of your finger. Unlimited district-wide and building specific push notifications. Real-time sync with your website. Since our Stay Connected mobile app communicates directly with your website, there is no dual entry of information required. Complete control over the information listed on the app. Pull pages already created on your site, create app-specific content or link out to third-party sites. School and Staff directories: Instantly find teachers’ and administrators’ contact information. Calendar of events: Search all of your district’s upcoming events and add them to your calendar. Headline news and information: Find out what is happening in your district with the touch of a button. Please note that if your school is not listed within the app then your district will need to contact SchoolPointe, Inc. to activate the Stay Connected mobile app for your school to appear.